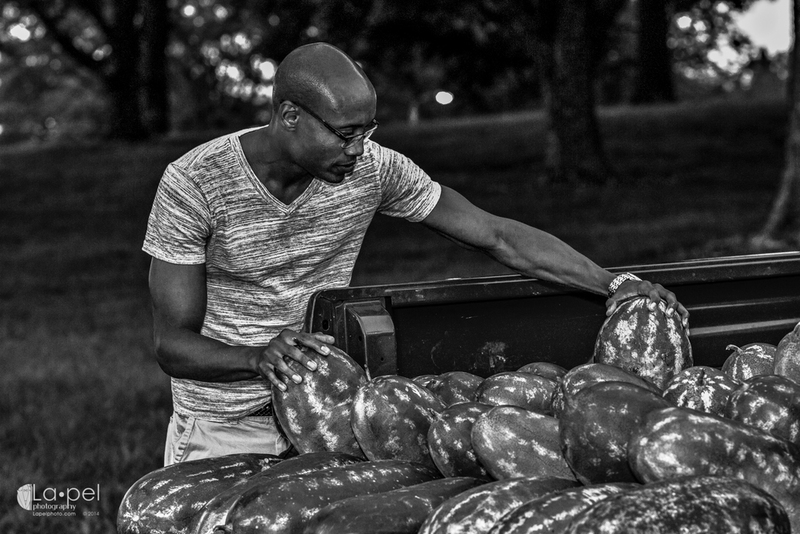 So I'm driving down Parallel (a street in my town Kansas City, KS) and as I pass by a church I spent some time in as a child I see a man selling melons at the edge of the parking lot near the street. I wasn't sure why he caught my eye at first. He was unassuming in stature, he wore no bright clothing and wasn't screaming through a megaphone "BUY MY PRODUCE!". He was a guy positioning his product in the back of a pickup truck and on the ground. I passed by I thought nothing of it at first... then it hit me. I know why he captured my attention, why I became curious of this fellow. I immediately circled back and then I saw it again. I had to stop in and talk with him, if not for any other reason but to look at the product he was selling. The thing that brought me to his "store" was that I noticed how much pride he took in something as simple as the positioning of his product. 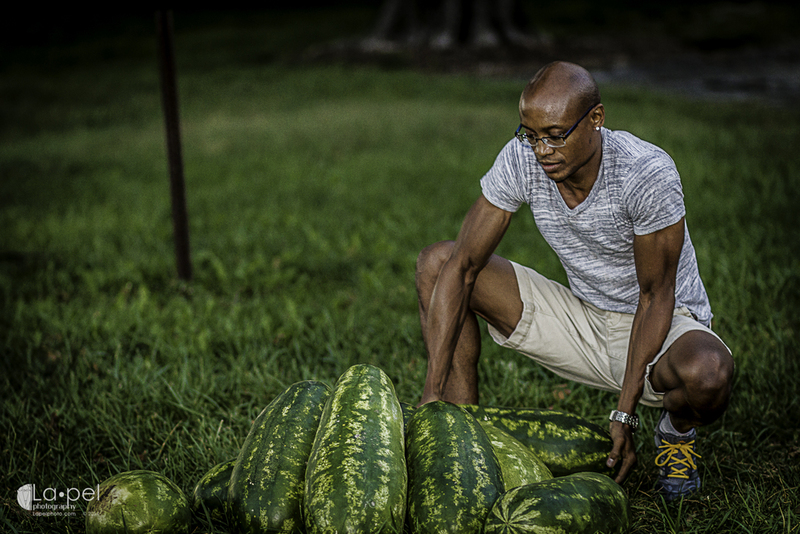 Meticulously he placed the melons, as if each one could sell itself if positioned "just right". He has entrepreneurial spirit! This man takes pride and care in his work and understands the power of giving a crap, and the risks involved with the contrary. After talking with him, my opinions were substantiated more and more and I was very glad that I stopped in. His name is Chris Taylor, Jr., and he is a current resident of KCK. 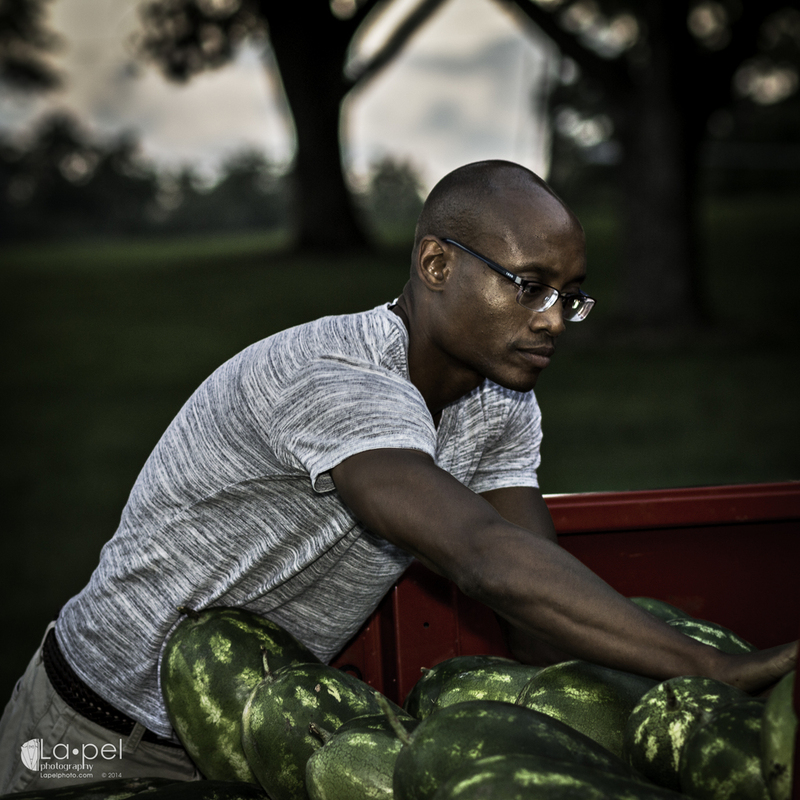 When I asked him his thoughts on selling the produce, he said "At first, I was really embarrassed standing on the side of the road waving a sign to get people to stop and buy. But as I grew more confident, it seemed to attract more customers, and my confidence in turn grew more. People would stop by just to talk. I would wave at people who became familiar as they passed down Parallel Parkway. Some people stopped only because they would see me at the corner of 51st and Parallel everyday, when I first started selling melon. One of my catchphrases, "I stand by my watermelon; my guarantee is that I’ll be here tomorrow." And I would be there." ...and there he was. Chris also has a growing eBay business. Mainly he sells handbags, and a collection of Mark Twain's notebooks and journals. His eBay username is "under shop.collectif". He also posts items on eBay for those who are otherwise intimidated by the process and charges a small fee if the item does not sell. He collects 20% of items that sell. I give you these details, not because I'm trying to sell you something, but because I want you to SEE something. Chris is an example of Entrepreneurial Spirit, and spirit of this sort should include but also transcend product in our community and in our lives. Chris and many others right here in our community do things like this in addition to having a day job (as Chris also balances). One must only glance off the road once in a while to find what you're looking for, weather it be fresh produce, an income stream, a friend, or simply inspiration. There is always something we can do to better our situation, and ourselves. Not only should we look for "that vendor off the road" that has what we need, but also strive to become "that vendor" and provide for other's needs (both physical and spiritual). Thank you Chris for allowing me to share a piece of your world, and enlightening my day. God bless. Interested in Chris' services? He can be reached at: chrisjrtaylor@gmail.com or 913-325-9694. Chris informed me in a message that the melon season has ended. I hope to catch him again next season. Image particulars: The sun was fading very fast. I wrestled with my flash for a bit to get it firing on a boom stand, but after realizing I had no triggers with me, I slapped that badboy on the 70D and starting taking a few shots. I used the 85mm and I varied Apertures quite a bit. I should have cranked up the ISO to 400 or so, but since I have somewhat of a grunge style I knew that the images would gain a little grit in post production which was fine. I should have given myself a little more room for movement by using a faster shutter speed, but I didn't, and I paid a slight clarity price on some of the photos. In post I went with a variety of color styles, varying from highly saturated bright colors, to de-saturated, to black and white.